Just a great simple anime to enjoy! Kinda bad season 1 isn't on here because it is just as enjoyable, but still a great way to waste 15 minutes. The episodes from season one were longer since they had 3 smaller chapters wrapped into one instead of one chapter basically episode now. Still I recommend to anyone who enjoys slice of life! Oh and Saya is best girl! 3 episodes in. It's a good anime but it's just more of same with no storytelling improvements. 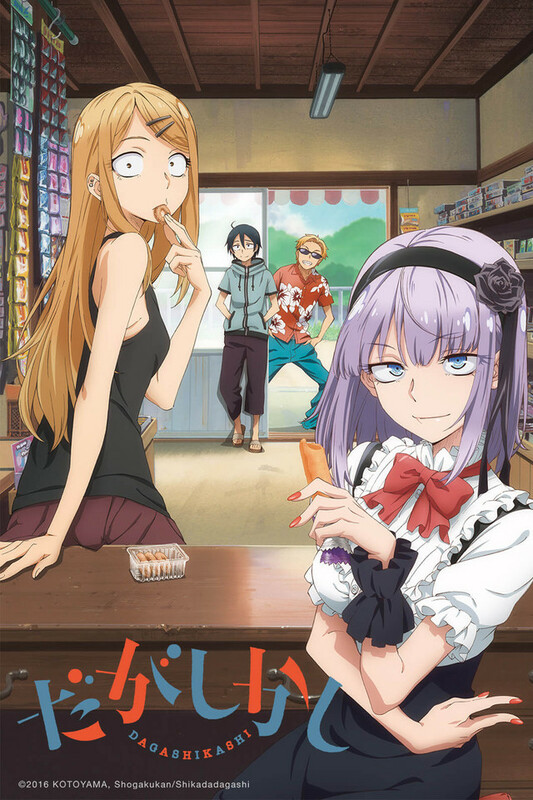 I watched the first season of Dagashi Kashi and thought it great way to introduce japanese snacks and candies and even their origins to viewers. The anime revolves once again around the same 4 kids from s1 as they hangout while introducing dagashi into each segment. .
And that's pretty much the case with every episodes. Sure there's bits of back stories of the characters sprinkled here and there, but the main focus is the advertisement of dagashi. It's a safe niche formula in the slice of life It is what it is. So why is there a 2nd season then? Short answer: You can't fit all existing and new dagashi in one season. Plus the fans want more Hoteru. Episodes toooooo short....but that is fine. I like this one. I didn’t visit a dagashi store when I went to Japan. Heck I didn’t even know that they existed. Are they still around? I know there are plenty of shichi juuichi kombini (7/11 convenience stores)...or as Japanese natives would tell me, “moshikashite sebun irebun kombini desu ka” Very interesting anime.....I just wish there was a season one. I’m rooting for you CR!